I actually thought that the Moore, Wilkinson and Shawnee tornadoes were the most violent in US history. 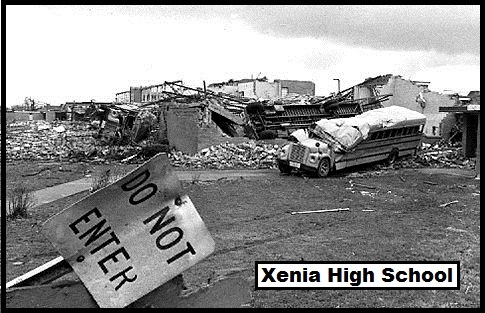 But according to Fox 41, the largest tornado outbreak occurred on April 3 and 4, 1974, so exactly 40 years ago in Xenia, Ohio. 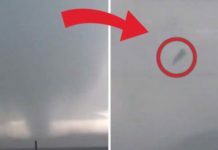 VIDEOS below! 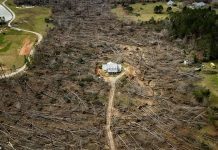 During the Super Outbreak, about 148 tornadoes were confirmed in 13 States from New York to Mississippi and even Ontario (Windsor… The Windsor Hum). 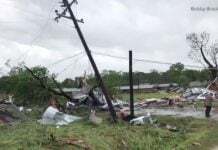 From these, 21 tornadoes produced continuous tracks of at least 30 miles and three had tracks that covered more than 100 miles! Amazing! 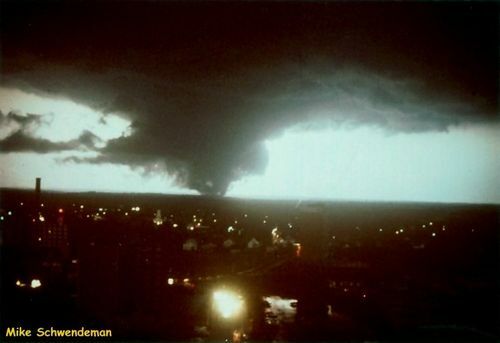 Moreover, during the Super Outbreak of 1974, 64 storms reached at least F-3, 23 F-4 and incredible six achieved F-5 in intensity. Normaly, the United States see less than one F-5 (EF-5) each year! Hopefully, we will never have to witness such an apocalytic event anymore, anywhere on the globe!